Water damage comes in all forms as defined by the IICRC: Category 1 (Clean water) to Category 3 (Sewage). No matter what the form, it is necessary to have a trained professional respond immediately. 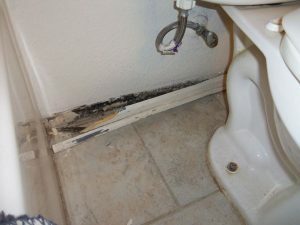 Our 24 Hour Services is specifically designed for immediate response to prevent the effects of water – mold! 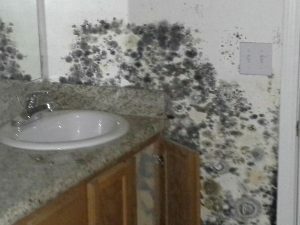 There are over 60,000 species of mold present in our environment. Some common indoor molds include Cladosporium, Penicillium, Alternaria and Aspergillus. Our immune systems were created to battle mold, but it is harmful in large quantities and through prolonged exposure to it. Small children, elderly, asthmatics, and people with suppressed immune systems are especially prone to adverse mold effects. Just think about how long you spend in your home or at your workplace and it is easy to understand how mold can “beat-up” our immune system. Identifying the mold types and quantity of mold spores is done by certified inspectors and then analyzed in the lab. A variety of inspection options are available. 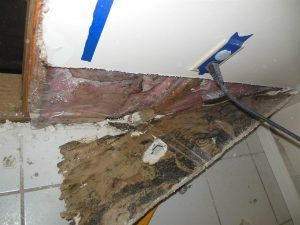 The contaminated area is first contained to prevent the spread of mold spores to “clean zones” and the mold is removed according to IICRC and AIQ standards. Then air filtration devices are used to eliminate airborne spores and ALERT reconstructs if needed.